I don't expect these will be of interest to anyone, but that's the point isn't it?! 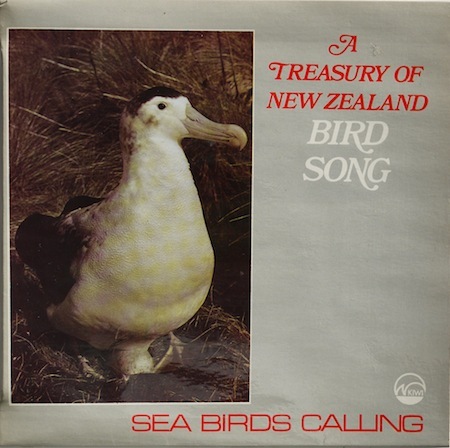 And if I could set my house alarm to the amplified sound of the Wandering Albatross, I would certainly do it. As before, I made the intros separate tracks (for those who prefer to keep your words and tweets apart) so you can delete if you like, but the narrator here is a worth listen, relating the personal and poetic imagery of his encounter. This 7" is the pick of the pack. Good vinyl too. I love that you have posted these records. I may only download one or two, I may not get around to downloading any, but it fills my heart with glee to see that you are making them available. I have a couple of Australian birdcall records on my blog (Urban Bowerbird - urbanbower.blogspot.com.au) and hardly anyone checks them out, but I feel like I'm providing some sort of obscure public service by having them there. 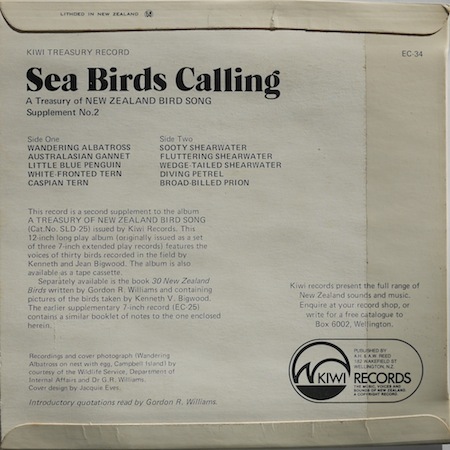 If I encountered the original vinyl of this cache of NZ birdsong that you have showcased, I'd snap them up like a hungry Brolga. Love this stuff. Thank you! More birds! Thank you, Mrs Blucher!